When you climb Kilimanjaro, its high altitude is undoubtedly the number one obstacle in reaching the summit. It is the most common cause of having a rough time on the mountain overall as well as failing to get to the top, Uhuru Point. In low oxygen environments, humans experience altitude sickness, also known as acute mountain sickness (AMS). What is the rate of ascent? What is the hiking pace? Are you at a caloric deficit? How is your physical fitness? Are you taking anything that can interfere with acclimatization? All these things are constantly at play while you are on your trek. The good news is that all the above factors can be controlled, either during preparation or during the climb. It is in your best interest to do everything you can to reduce your risk factors and mitigate altitude related symptoms on the trip. Acclimatization is a game of catch up. As we climb, the body adapts to the thinner air. We climb again. The body adapts again. In a perfect world, we would want everyone to feel good during the entire expedition. But experience tells us this is unrealistic. So our more practical goal is to have everyone feel well every morning, prior to setting out on the day’s next leg. This would mean that when climbers wake up each day, their bodies have “caught up” to the altitude, and can function at the current oxygen level. We emphasize to all of our clients that the best routes are the longer routes – particularly our 8 day Lemosho route and 9 day Northern Circuit route. By having more days on the mountain, we give the body the best chance to keep up with its oxygen demands. Unfortunately, the most influential factor in how one acclimatizes is one that cannot be managed. That would be your genetics. There are some super humans who can climb the seven summits and never get as much as a headache. There are also those unlucky ones that become very ill at 10,000 feet. These are both rare cases that exist on opposite ends of the acclimatization spectrum. So what is the norm? At 10,000 feet and above, 75% of people will develop some symptoms of altitude sickness. On Mount Kilimanjaro, which peaks at 19,340 feet, expect that you will probably experience one or more of the following symptoms: headache, nausea, dizziness, shortness of breath, loss of appetite, trouble sleeping, fatigue. If you do, do not panic. It is totally normal. Our guides have thousands of hours of experience handling altitude related issues across literally thousands of climbers. With this experience, they have learned how to prevent AMS in the first place and how to handle it when it arises. AMS is something to be respected and carefully managed. It is not something to be overly afraid of. With sufficient time, most people recover well, their symptoms subside and they can safely continue the trek. Comments Off on Who’s Responsible for Your Safety on Mount Kilimanjaro? You Are. Why Does Acute Mountain Sickness (AMS) Occur? Comments Off on Why Does Acute Mountain Sickness (AMS) Occur? Comments Off on Climbing Kilimanjaro – Is it Getting Easier? 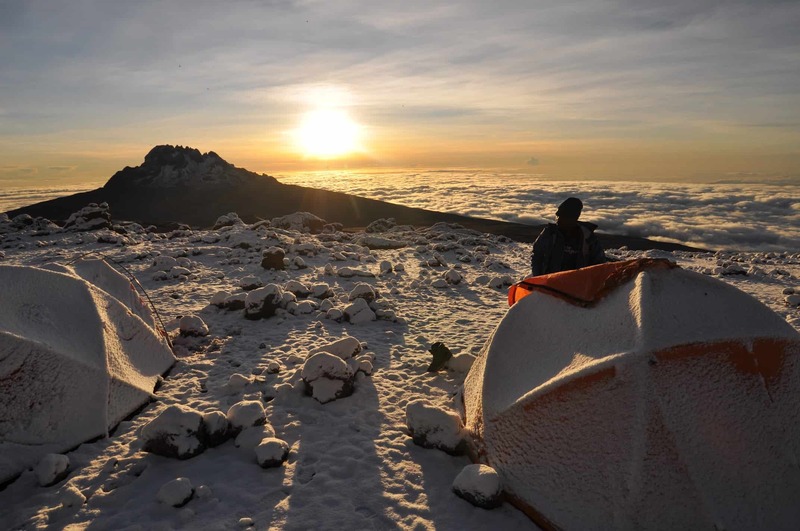 How Hard is it to Climb Kilimanjaro?